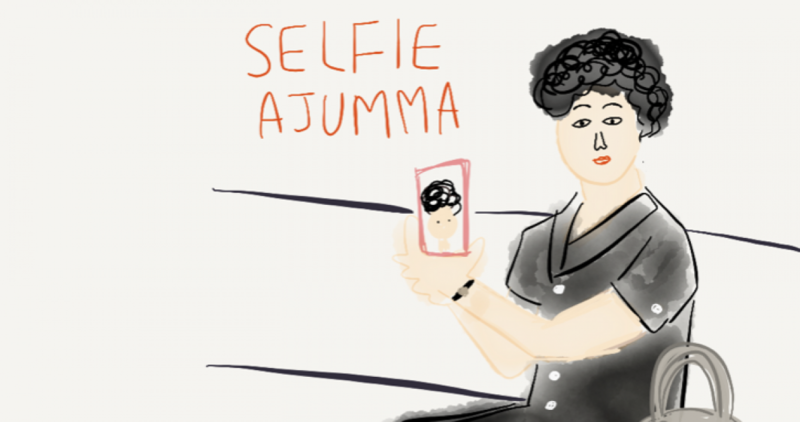 I saw ajumma shoppers at a market today. Saturday market is always crowded with lots of ajumma shoppers. They come to market not only for grocery shopping but also sharing their lives with others at the market through face to face communication with others even if they never met before with each other. Market is one of communal spaces of ajummas like Digital Ppal-let-ter. I love seeing people at the market because I feel alive.